Magnetic Resonance Imaging (MRI) combined with robotic assistance has the potential to improve on clinical outcomes of biopsy and local treatment of prostate cancer. 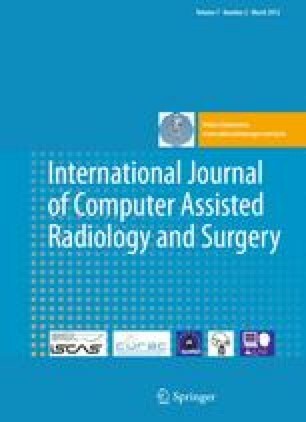 We report the workspace optimization and phantom evaluation of a five Degree of Freedom (DOF) parallel pneumatically actuated modular robot for MRI-guided prostate biopsy. To shorten procedure time and consequently increase patient comfort and system accuracy, a prototype of a MRI-compatible master–slave needle driver module using piezo motors was also added to the base robot. Variable size workspace was achieved using appropriate link length, compared with the previous design. The 5-DOF targeting accuracy demonstrated an average error of 2.5 mm (STD = 1.37 mm) in a realistic phantom inside a 3T magnet with a bevel-tip 18G needle. The average position tracking error of the master–slave needle driver was always below 0.1 mm. Phantom experiments showed sufficient accuracy for manual prostate biopsy. Also, the implementation of teleoperated needle insertion was feasible and accurate. These two together suggest the feasibility of accurate fully actuated needle placement into prostate while keeping the clinician supervision over the task.